Last week’s poll: “Riddle Me This, Riddle Me That: Who should be the next big Man of the Bat?“ has officially closed and the results are in with 39 and 29 total votes per poll respectively. 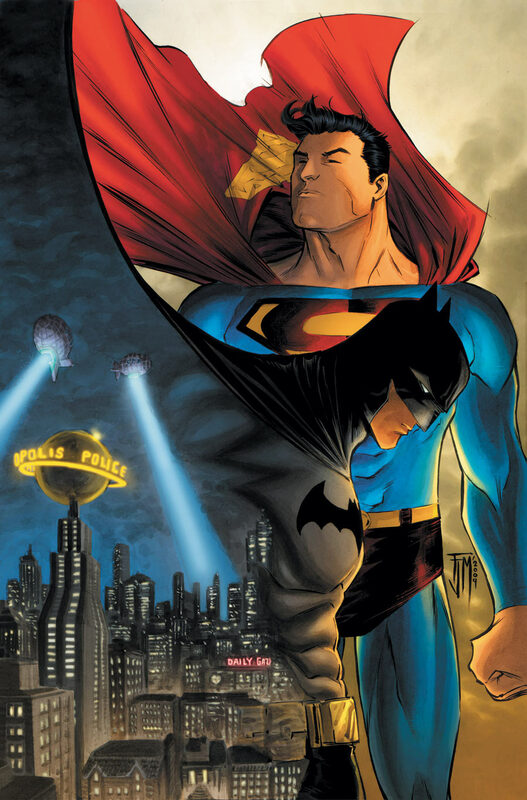 Asking which plausible candidates to play the next Batman in the upcoming Superman/Batman mashup film would you like to possible be considered for the role. The top 2 Bat Boys have been chosen and it was a lot of fun reading all the comments and watching the close results! Congrats to Matt Bomer and Richard Armitage who both barely won the polls and edged out the competition. I know that my friend Ruth at Flixchatter.net will be extremely pleased to see the results, especially given the post she published today about the subject. Be sure to check out how many votes each of the 12 candidates received in last week’s poll HERE! 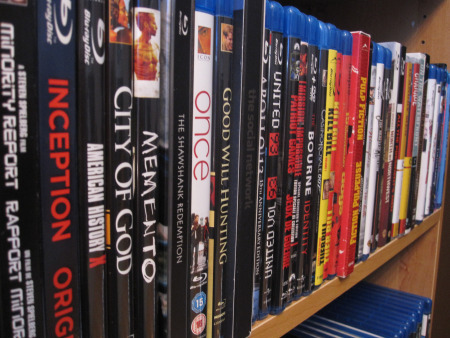 This week’s edition of ‘TVT’ entitled “Blu-Ray Benefits” entertains the idea behind buying and collecting movies on blu-ray. (2) Ian over at ianthecool has a series going on over at his site about Converting to blu-ray and collecting blu-ray movies. While he is sadly mistaken on his opinion of “inefficiency” of organizing one’s collection in alphabetical order in his 2nd post of the series HERE (high-five to all of you who organize your movies this way), he brings up some excellent reasons to convert over to blu-ray in his first post HERE. So, today I am curious about your opinion. You visit this site because of your shared enjoyment of movies and movie related subjects. Therefore, I assume, that you must have an opinion on the subject one way or the other. Do you buy movies? 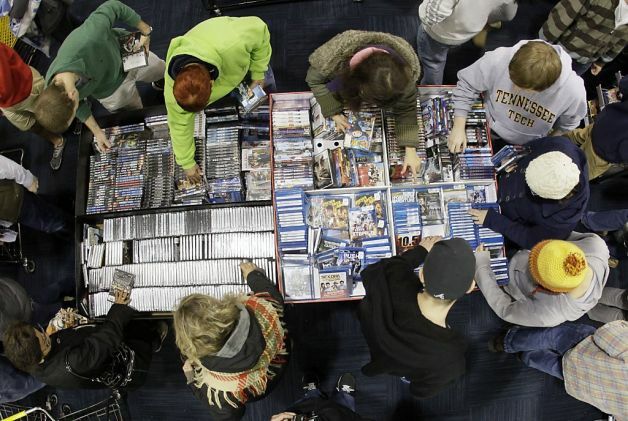 Do you buy BLU-RAY movies? If so, WHY do you buy them? If you collect, I have 2 questions for you to answer in the comment section: How many movies do you own? and how do you arrange your movies? Previous Movie News Monday for July 29, 2013. I don’t know how many are in my collection. Mostly DVDs but my blu-rays are growing. Some are replacements but most are not. 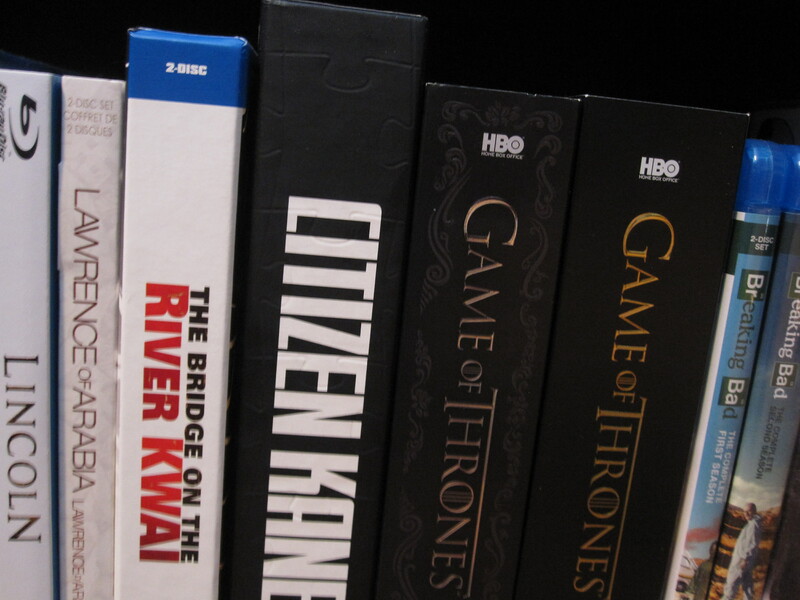 I replaced the dark knight trilogy, and mad men. I still have some VHS tapes too. Star Wars trilogy and Indiana jones trilogy are the main ones. When they come out with blu-ray versions that are original theatrical releases, then ill upgrade. I tend to organize alphabetically and by format (VHS, DVD, blue-ray). Also I organize by If they’re movies as part of a series, and keep movies separate from tv series. Thanks for voting. This is always fun to hear about from other collectors. Ooh, still holding on to the VHS Star Wars and Indiana Jones!! Nice. To upgrade my films to the best visual and audio presentation possible. Honestly, I don’t really care about special features whatsoever. I used to, in the early days of DVD collecting, but now I don’t care. I care more about packaging than special features. The “making of” documentaries are just all the same after a while, and I would much rather just watch the movie then watch the movie with commentary. And blooper gag reels just feel like a big inside joke I’m on the outside for. A streamer, huh? Me too. Are there certain movies that you run out and just HAVE to own when they release? or do you wait until they go on sale? I understand that on all counts my friend! My DVD collection is over 300 but that was when I used to buy anything especially new releases for I regretted. Then Netflix came along and stopped my collection for awhile. At first I had no intention to collect blu-rays until I purchased a PS3(Im a x-box fan) and purchased and saw Hellboy 3 and The Dark Knight and there on I can’t watch DVDs anymore. I refuse to watch DVDs only blu-rays. So far my blu-ray collection is decent, I purchase movies with caution now. My method now is quality over quantity, I want to have a big collection but a collection of great films. I dont have them in a particular order, I just cant choose a way how. Great topic. Quality over quantity. Good man. And by choosing blu over Netflix you’re also choosing quality over convenience, which I like to see. I agree with quality over quantity and use the same logic! Thanks for chiming in Issy. I appreciate your input. I collect Bluray to convert mostly animation or CGI heavy movies from DVD. There are some that I honestly don’t feel the need to upgrade. Unless the price is really not much difference (which it isn’t most of the time) then I choose Bluray over DVD. You’re right, Kim. There ARE some that don’t necessarily need the upgrade so then I buy DVD when it comes to that. No Blu-Ray player, no HDTV. Someday. I do the same. I used to avoid used DVDs, since the error correction on early players wasn’t very good (meaning that even slight scratches meant a disc was unplayable) but it’s not as big a deal nowadays. I still make sure there are no scratches, though. Don’t have a Blu Ray player and kind of stopped collecting a while ago. I might occasionally buy some DVDs, but in general I’ve become a big fan of on demand services. Takes up a whole lot less space 😉 As I never watch extras I don’t feel I’m missing much. No collecting at all? onDemand services are great, it’s true. Do you stream in any other way? I’m curious. Thanks for voting/commenting. Always alphabetical. It is the only way. I keep the blu-rays and the DVDs separate. And I also keep TV separate from films. Not exactly sure about numbers. Perhaps 200? I own probably a few hundred movies on both blu-ray and DVD. I organize my films by genre. What is your bluray to DVD ratio? I think about half of my collection is still DVD. I’m slowly updating some of my favorite movies to blu though. Thanks for commenting and voting my friend. organizing by genre, huh? What genres do you use?